Product prices and availability are accurate as of 2019-04-08 22:58:06 EDT and are subject to change. Any price and availability information displayed on http://www.amazon.com/ at the time of purchase will apply to the purchase of this product. Suttle delivers a dynamic platform of versatile and scalable solutions designed to reduce total cost of ownership and tailored to the customer’s requirements. Suttle is a partner to service providers in the telecommunications and cable industries as well as to residential and commercial builders and developers. The Suttle Advantage. At Suttle, we sell more than components. We deliver networking solutions tailored to communications service providers’ specific needs, plans, and budget. In fast-changing markets, we design solutions that incorporate the best available technology, leverage existing infrastructure, and lay a foundation for future growth in a timely matter, giving service providers an overall advantage. With over 100 years of experience, Suttle is a proven leader in the development and delivery of innovative solutions. Suttle innovation is more than just inventing a new product – it involves a partnership with the customer, in which we inject our technology expertise to address each specific need. 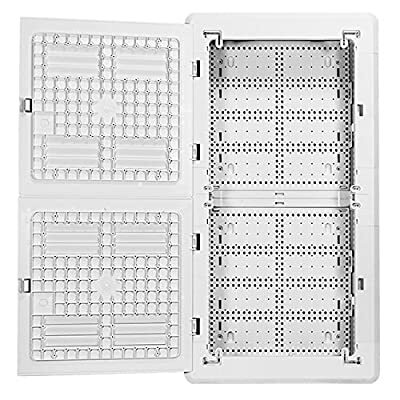 The MediaMAX™ panels are designed to meet today’s needs for enhanced CAT6 and wireless connectivity as well as house ONT and wireless residential gateways in close proximity to traditional media panels. These panels utilize plastic components wherever possible to minimize wireless interference. Additionally, improved enclosure venting allows for superior heat dissipation. WALL MEDIA HOUSING SOLUTION FOR SMART PREMISE EQUIPMENT - The network cabinet is designed to meet Cat6, wireless connectivity, and house ONT's, gateways, battery backups and wiring modules in a single in-wall enclosure. IMPROVED HEAT DISSIPATION AND FIRE RESISTANCE - The media enclosure is designed with ventilation for increased airflow, the media panel is made from UL 94V-0 rated flame retardant thermoplastic. MODULAR DESIGN FOR NEW CONSTRUCTION OR RETROFIT - The structured media enclosure is for both greenfield and brownfield applications, the home network enclosure meets latest fire resistance criteria for in-wall installation. (UL 2416, Issue 2, Section 12.5, Communications Equipment Racks, Cabinets, and Enclosures) EASY INSTALLATION - The home wiring cabinet provides unique mounting bracket and shelf design accepts a wide variety of equipment dimensions. FLEXIBLE FUTURE-PROOF DESIGN - The hinged media panel accepts fiber, copper, coax cables and terminations, cable-tie locations along cabinet sides, with a 180-degree hinged cover for easy access.